Are you looking for a fun and practical gift for a child on your Christmas shopping list? 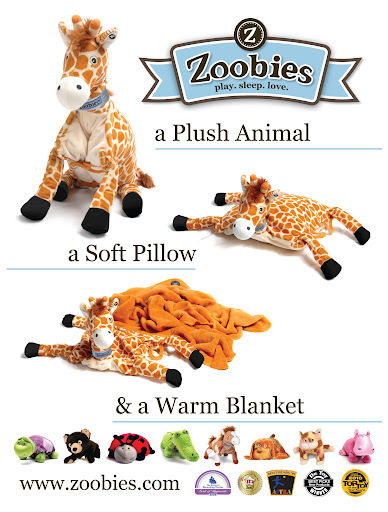 Zoobies are all that and more, rolled up into a blanket, pillow and a stuffed animal! Perfect for boys and girls of all ages! Come enter for your chance to win a Zoobies blanket pet of your choice, and be sure to check out the other great holiday gift guide giveaways too!